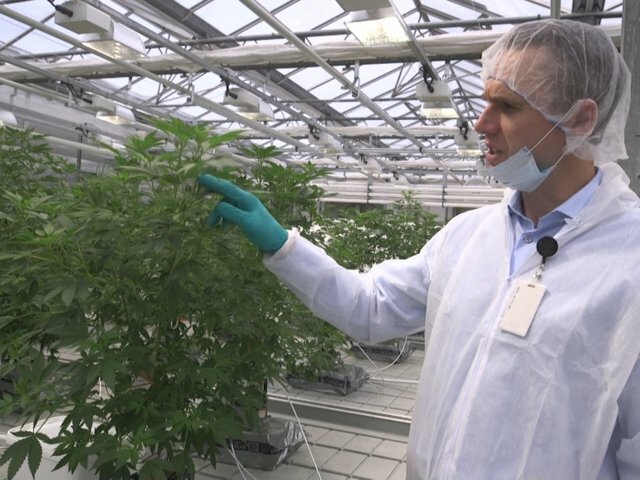 Aurora Cannabis surged more than 9% to $8.10 a share Monday after announcing that its extraction-technology partner Radient Technologies has received its Standard Processing License from Health Canada. Shares are trading at their highest level since November 7. Aurora says Radient's proprietary-extraction technology can achieve much higher throughputs than is possible with existing benchmark technologies. It also has the efficiency and ability to preserve the full spectrum of cannabinoids and terpenes found in the source material, the company said. "Early on we identified that the ability to extract cannabis and hemp at large-scale while preserving quality would be a crucial competitive advantage to address the rapidly growing market for derivative products, such as vapes pen solutions, softgels, edibles, and beverages," said Terry Booth, Aurora's CEO in a press release. "With the upcoming new regulations permitting additional form factors and Radient's recent receipt of its processor license, we are in a strong position to rapidly expand production of a broad portfolio of extract-based products, tying in well with the significant scale-up of our global cannabis and hemp operations. We look forward to continuing to work closely with Denis Taschuk and his team at Radient to drive accelerated growth for both companies." Other weed stocks were also rallying Monday, including Cronos Group (+8.64%), Aphria (+9.77%), Tilray (+7.58%) and Canopy Growth (+1.7%). Aurora has just recently caught the attention of millennials. In September 2018, Bloomberg reported that Coca-Cola was in discussions with Aurora to develop beverages infused with cannabidiol (CBD), one of the nonpsychoactive compounds found in cannabis. A deal never came to fruition. But that was just the beginning. In October, in the wake of the official legalization of recreational marijuana in Canada, Aurora went public on the New York Stock Exchange. It has since stepped up expanding its reach in the US market, where the regulatory environment has become more favorable for marijuana producers. On January 14, less than one month after the passage of the Farm Bill, which legalized hemp, a source of the popular ingredient cannabidiol, Aurora told Business Insider it plans to produce hemp-derived CBD for the US market in the next few months.